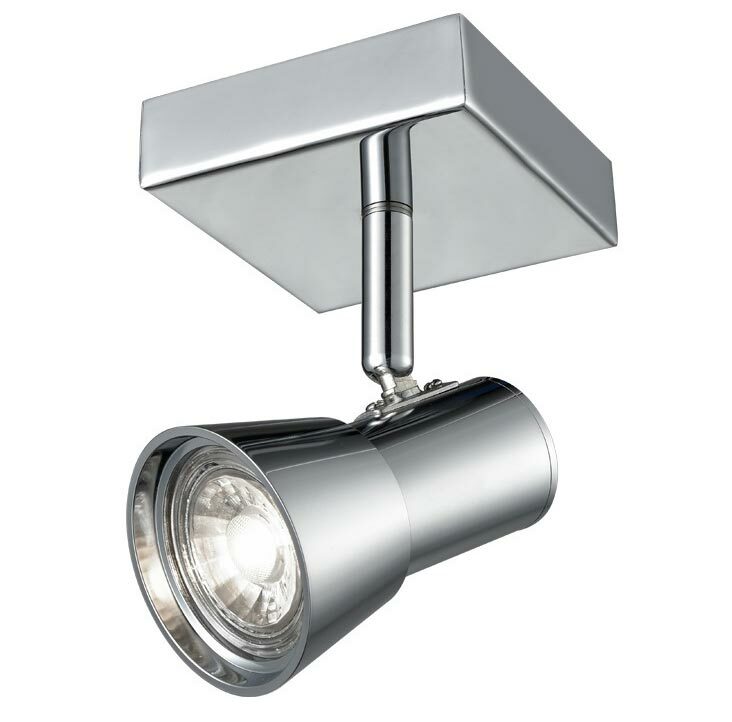 This Franklite Aime single spot light without switch in polished chrome is fully adjustable and can be wall or ceiling mounted to provide directional light. Square mount, central post and tapered lamp head that tilts and swivels for maximum adjustment. Supplied with a non-dimmable, warm white, 4.5w LED GU10 lamp bulb. A class II double insulated spot light no earth required and suitable for older properties without an earth loop. There are matching fittings available in the Aime spot light range that can be viewed by scrolling down this page. This light is supplied by Franklite Lighting who have been one of the pioneers in the design, manufacture and distribution of high quality lighting such as the Aime single spot light without switch in polished chrome you see here.